The productivity software world has changed since Microsoft last launched a major Office release. Google has continued to improve its cloud Docs service, with mobile clients based on QuickOffice and file sharing through its Drive service. Similarly Apple has continued to improve its Pages, Numbers and Keynote applications on MacOS and iOS, with cloud versions of its tools available through its iCloud service. Even cloud file sharing services like Box and DropBox have enhanced their enterprise offerings, with in-browser file viewers and in-document collaboration tools. 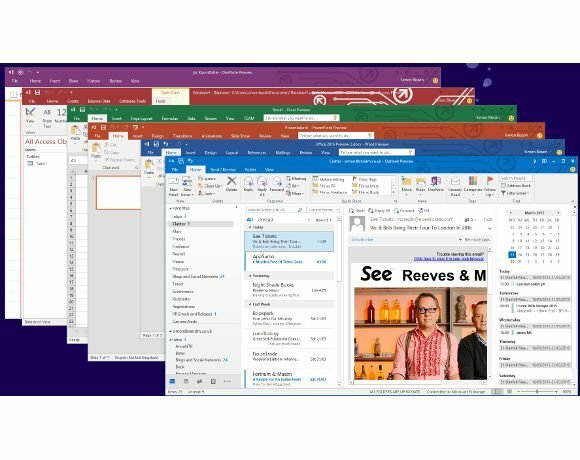 The Windows Office 2016 preview is Microsoft’s second major Office unveiling in just a few weeks, following hot on the heels of a preview of its Mac Office tools. With the Mac Office release taking on much of the Windows Office look and feel, it is not surprising that Office 2016 on both platforms is going to be familiar to Office 2013 users, with the same ribbons and the same icons. Perhaps the most obvious change is the addition of a new “tell me” assistant, a feature that is somewhere between the much maligned Clippy and a good old fashioned help file.